Once you have decided to get plantation shutters fitted to your home, which shutter company should you choose to supply them? 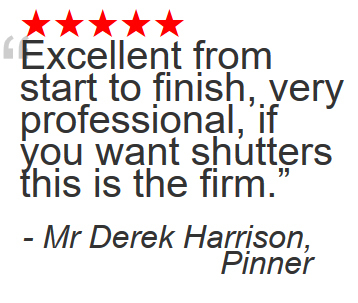 A look online will show that there are many companies supplying plantation shutters, however, not all companies are like Shutter Master. We are suppliers and installers of the leading plantation shutter manufacturers in the country, S:CRAFT. 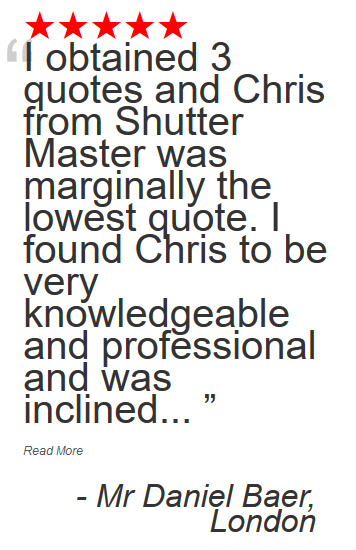 Shutter Master are a licensed Master Partner for S:CRAFT products, whether it is the beautiful and stylish plantation shutters, the Victorian style solid panel shutters or their high quality natural timber Venetian blinds. As Master Partners we only sell S:CRAFT products and can offer unrivaled guarantees for your peace of mind. 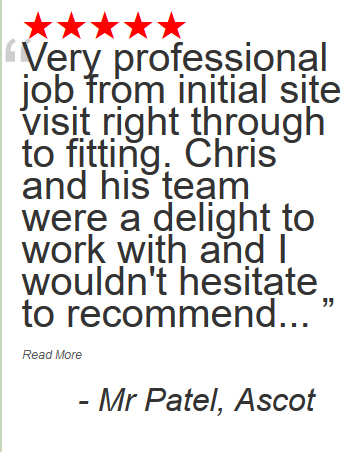 We have to maintain high levels of workmanship to retain our Master Partner status and are monitored regularly. This way you are sure to get a first class job every time. 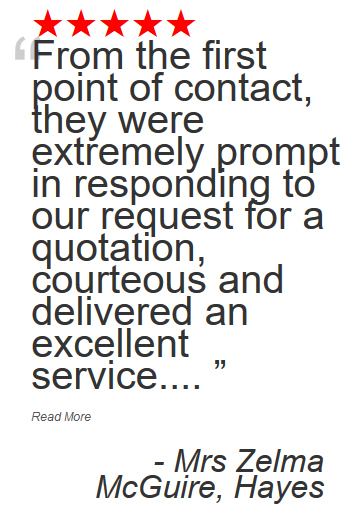 As a family run business our commitment to the customer is never less than 100% and we will always aim for complete satisfaction. All our natural timbers are from well maintained forests and are responsibly sourced to help the environment. 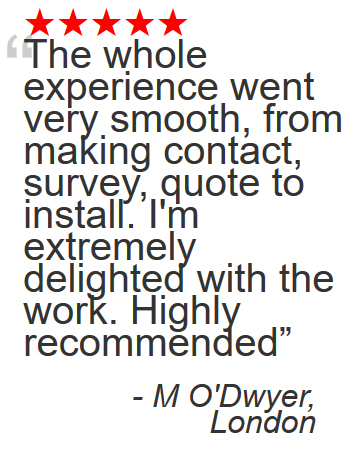 Some shutter companies expect you to pay a deposit or make a charge before attending a survey. 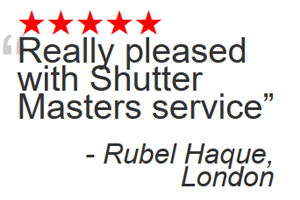 Not at Shutter Master, our surveys are totally free with no obligation to buy. We don’t believe in pushy sales techniques, after all you have requested a home survey so that tells us you want to have shutters. All we need to do is show you what you can have, design your shutters with your input, take measurements and give you a price. Some companies will give you a high price as a starting point and eventually reduce it, often by quite a bit. This is not a policy we adopt at Shutter Master. 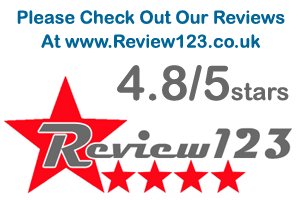 We give you our best price straight away. Additional savings can be made by having more shutters done at the same time which can bring down the cost per square metre. 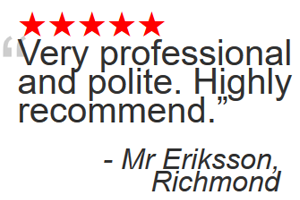 Speak to one of our friendly sales team to see what offers are available throughout the year. Listed below are some questions that should be asked before deciding which shutter company to choose. Are your materials responsibly sourced? – Yes, most definitely. What is your lead time? – Approx 6 weeks the shortest lead time for custom made shutters. 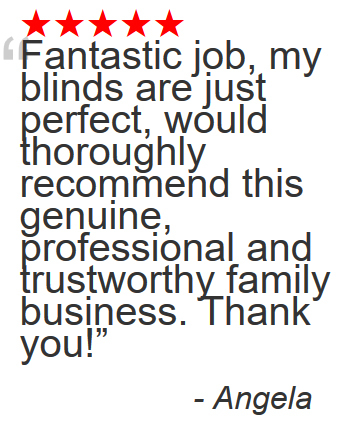 Are your shutters guaranteed? – Absolutely, our guarantees are for five years. Will my shutters warp? – No, our shutters are double baked to prevent warping. Are your surveys free? 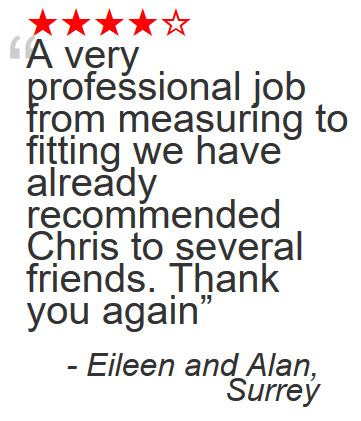 – Totally free with no obligation. 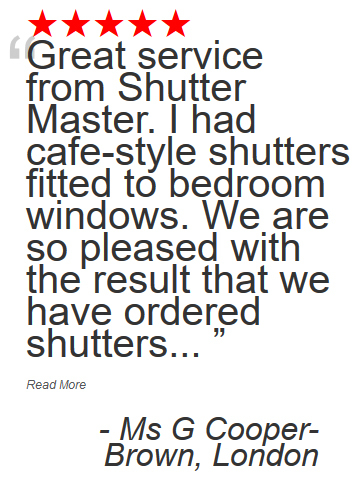 If you are thinking of getting stylish and practical plantation shutters or Victorian shutters or even pure wood Venetian blinds fitted to your home then give Shutter Master a call on 0845 459 0363 and arrange a FREE, no obligation survey, you have nothing to lose and plenty to gain by choosing Shutter Master, the number one for Window Shutters.